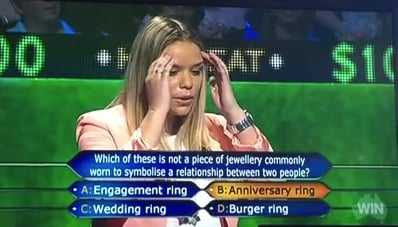 The Millionaire Hot Seat burger ring answer. 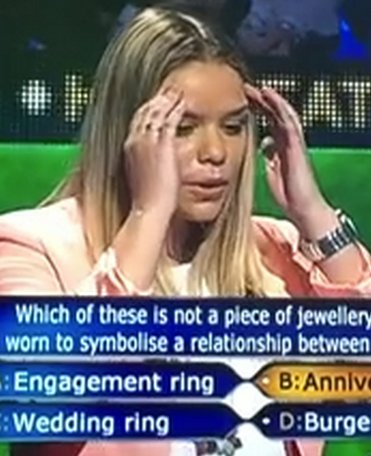 Seriously - how could a Millionaire Hot Seat contestant get this question wrong? 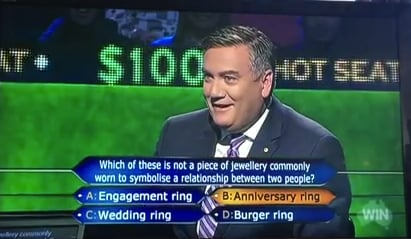 The very first question on Channel Nine’s Millionaire Hot Seat is always an easy one. The correct answer is always glaringly obvious – comically so. 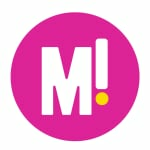 The round is only worth $100, and it’s just meant to get the crowd and contestants warmed up. In other words, nobody is ever expected to get the question wrong. The funny (and obviously correct) answer was ‘Burger Ring’. Whitney did not select Burger Ring. And she did not win $100. When it eventually did, she was mortified. The moment will haunt her forever.